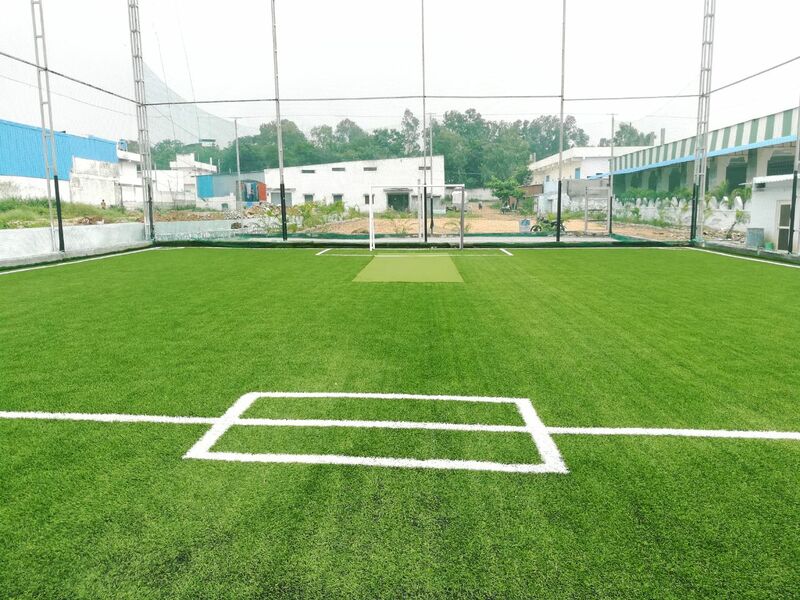 When people get fitness oriented and calorie conscious, When boys want to have a game of cricket even if they are a small group of 5, When life is fast and football is life. 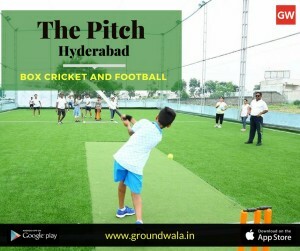 Then your answer is “THE PITCH” the new turf in Hyderabad. The Pitch started in August 2017, located at Kattedan, near Shivrampally square in Hyderabad. 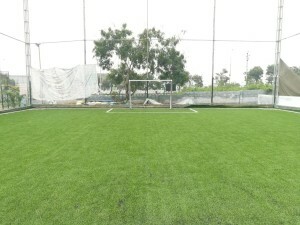 This sports facility offers an excellent atmosphere for sports and recreation. Not more than 15-20 mins drive from Masab tank, Banjara Hills area. 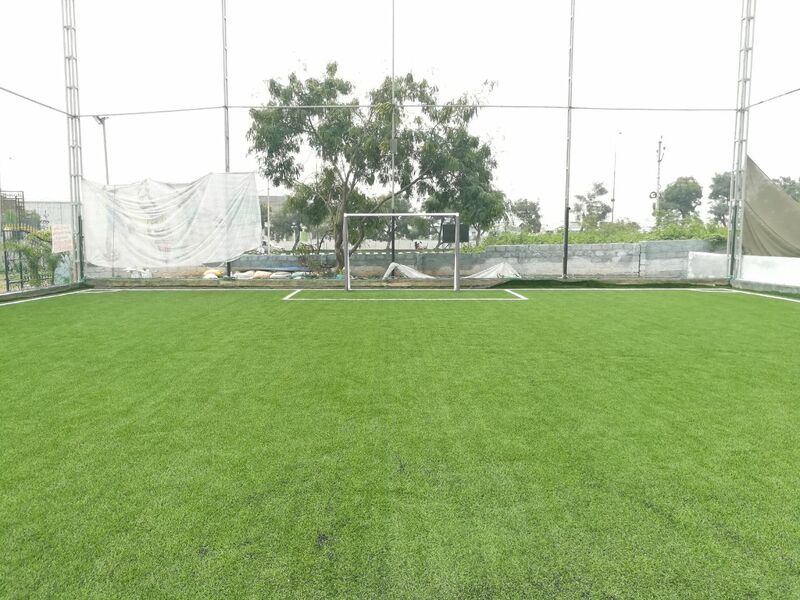 Perfect 6 a side football turf and even better destination for box cricket, with special batting pitch in the middle. 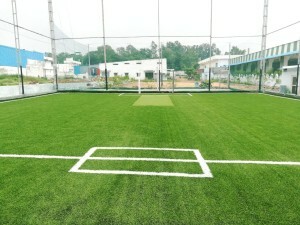 A beach volleyball court, playing area for kids and amenities like ample parking, covered sitting area, wash rooms etc. 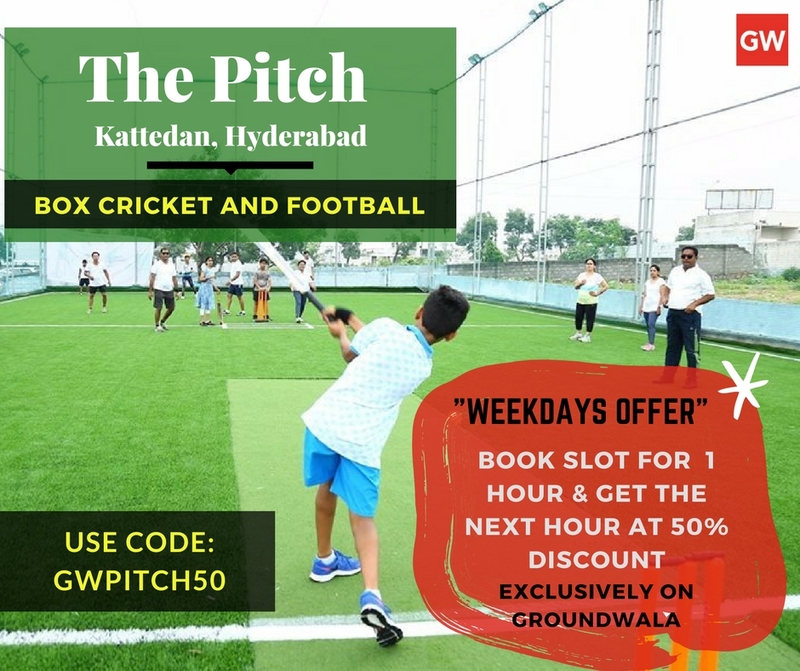 So next time you plan a good time with friends, family or Office get together over fun game of box cricket or it is a football game time for bunch of friends or colleagues make sure you check this venue out. Book slot for Football or Box cricket @THE PITCH, From Monday to Friday for 1 HOUR & GET THE NEXT HOUR AT 50% DISCOUNT.